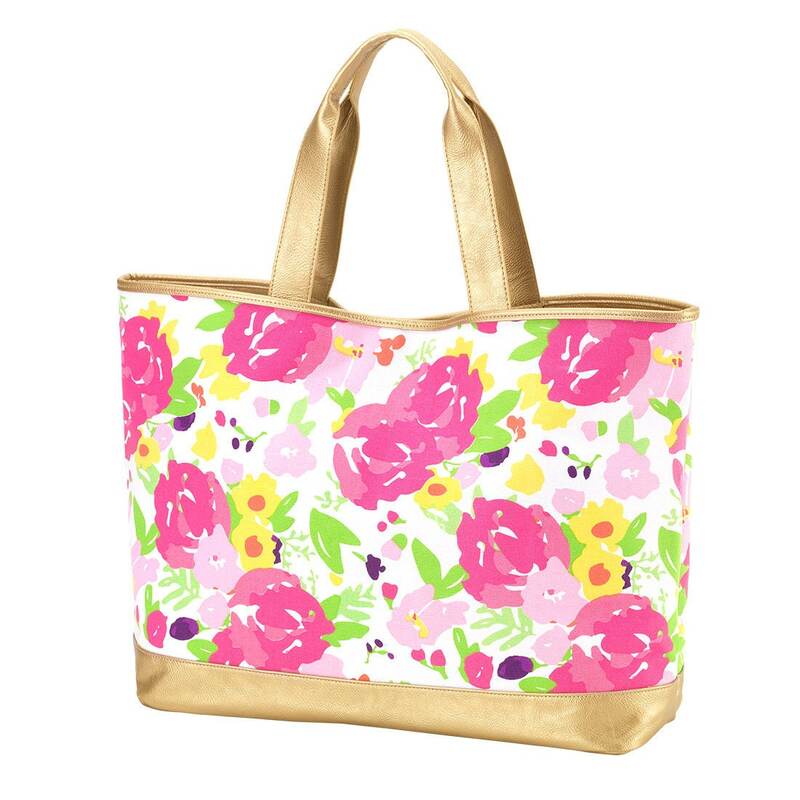 This pink floral tote with metallic gold vegan leather trim and handles, is absolutely gorgeous! Perfect for Valentines gift for her, bff birthday, Mother's day, wedding attendant gifts, or weekend girls' trips! Contact us with questions you may have before purchasing. We do have the coordinating smaller makeup zipper pouch available in a separate listing as well. Your purchase will be carefully packaged and shipped with care. Please allow us about 3-5 business days to get your order ready for shipping,and let us know if you have questions before purchasing.